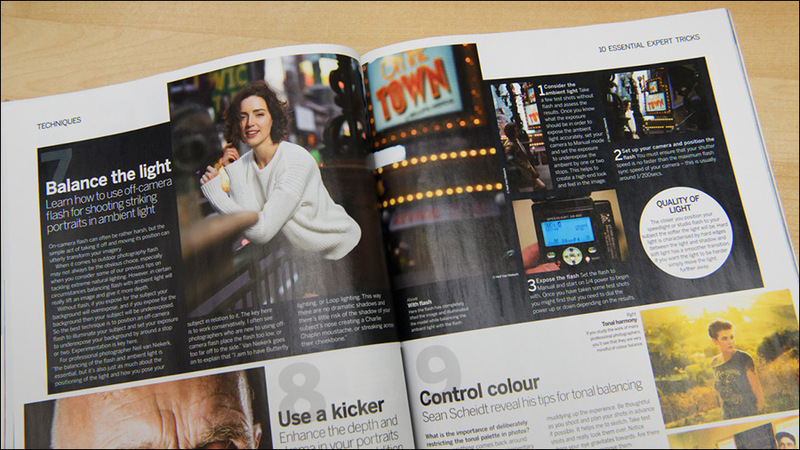 It never gets old to see your work in print somewhere – this time in issue 177 of Digital Photographer magazine, a photography publication from the UK. For this article they asked ten photographers for their essential tips they’d like to share with the readers of the magazine. 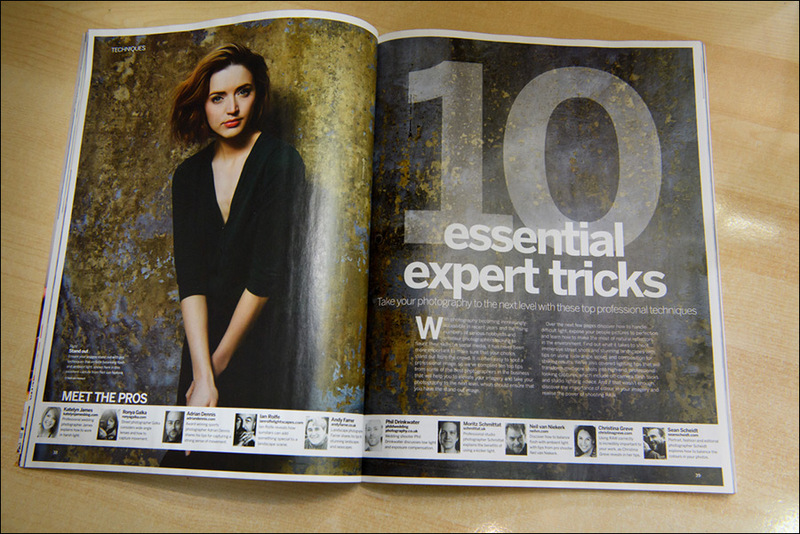 My contribution to the list of ten top photography tips, was on learning how to balance flash with ambient light. It should be a topic familiar with anyone who regularly follows the Tangents blog. There’s a specific algorithm that we follow in balancing the flash exposure (in this case with an off-camera speedlight in a softbox), with the ambient light. Working to this recipe allows us to get consistent results. The main image they used for the article (shown at the top), is of Anelisa, photographed at a flash photography workshop. You can read more about that photograph: On-location portraits – When simplicity counts.